The tall grass tickles our legs as we make way through the thicket to reach the hibiscus tree at the back. The warm and soothing autumn Sun falls and our back we enjoy the balminess. A plethora of butterflies is out on business. 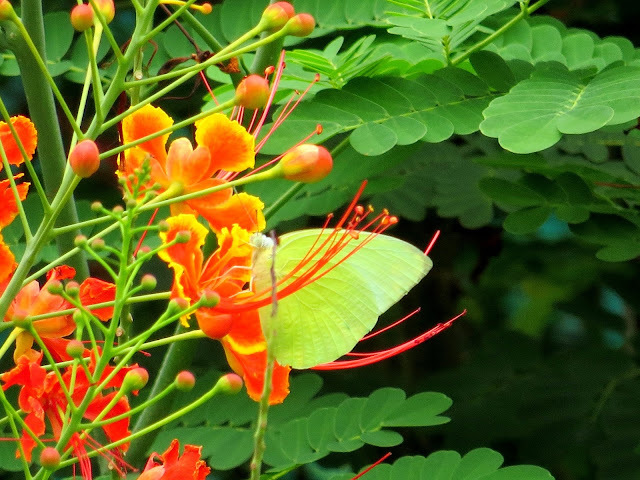 They sample one flower after the other keep fluttering all over the place. Morning glory adds colour and beauty to the greenness. Autumn is beautiful as ever. 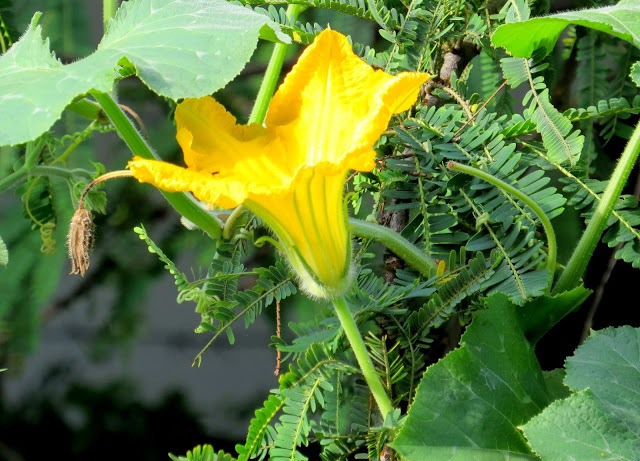 We planted some pumpkin seeds during monsoons and left the rest to nature. We saw lovely yellow funnel-shaped flowers too. The tall grass and wild bushes grew big and blocked the view. Three months later, as we inspect the branches of the hibiscus tree, our happiness knew no bounds to discover not one, not two but three robust pumpkins. 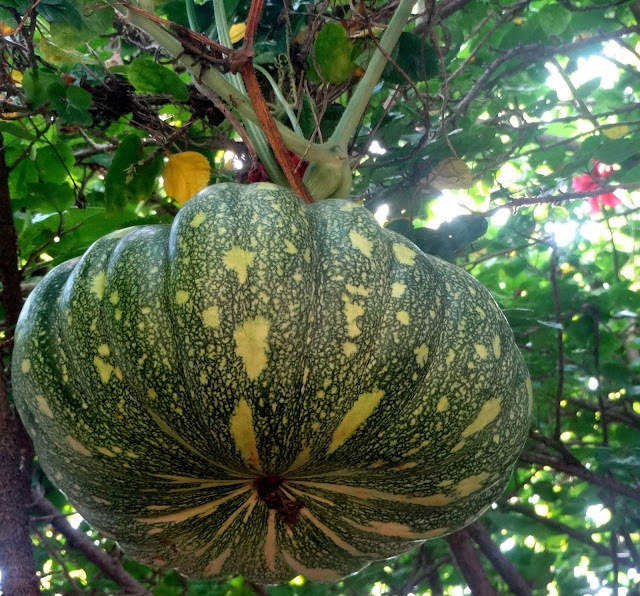 We admire the rotundity and size of our pumpkins and feel happy that we have a green thumb. Autumn evenings are pleasant and the air is nippy. Soup is boiling in the stove. We have made some cheese stuffed buns to go with the hot soup. 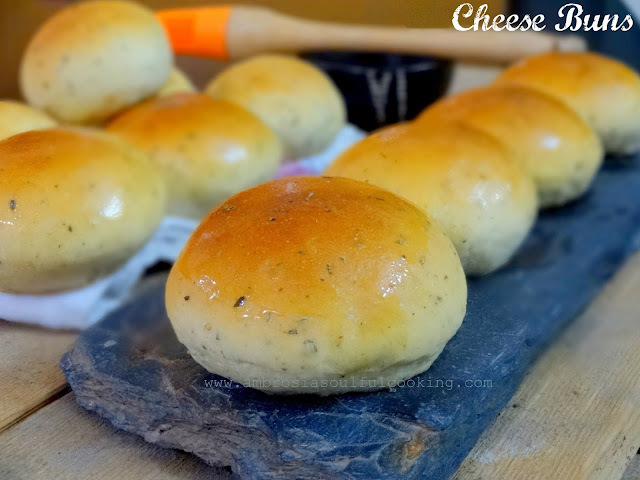 The buns are warm and soft and the cheese oozes out as we bite into them. Combine first four ingredients in a deep bowl. Stir. Cover. Let the mixture sit for 10 minutes. Whisk flour, salt and herbs in a large bowl. Heat butter in a pan, add garlic and cook for one minute. Add to flour mix. Add liquid ingredients and knead. After kneading for 6 to 8 minutes, the dough should become soft and supple. Cover with a towel and let it rest for 20 minutes. While the dough is resting, grease one baking tray. Cut each cheese cube into 6 small pieces. Punch dough and knead for 2-3 minutes. Roll into a long rope. Cut into 12 equal size pieces. Flatten a piece of dough and place 4-5 chunks of cheese. Seal the dough by bringing edges together. Place on the greased tray seam side down. Continue with the remaining dough. Cover and keep in a warm place for 45 minutes or until double. Bake in a preheated oven at 180 degrees C for about 20 minutes. Can active yeast be used instead of dry yeast ?? Hi, yes, you may use active yeast. You will have to bloom it first. Happy Baking! 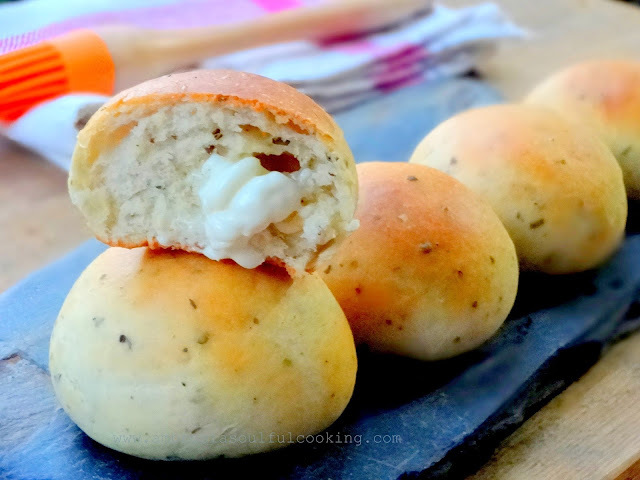 I am DROOLING over your cheese buns... literally! Thanks Sally, they are delicious and go very well with soup. Hi sally, Will there be the yeast smell in the buns later after baking? Hello Radha, there will be yeasty smell but it is very pleasant. If you do not like it, reduce the quantity of yeast. In this case the rising time will increase but the buns will not have too much smell.